We are very proud to support the great work that is being done by the Charles Darwin Foundation and the Galapagos National Park Directorate to conserve birds on the Galapagos Islands. Read their press release below and then go download the app. The Galapagos Landbird Conservation Program, conducted by the Charles Darwin Foundation (CDF) and the Galapagos National Park Directorate (GNPD), is developing strategies to monitor and assess the status of landbird species in Galapagos. Thanks to the teamwork of Birds In The Hand, LLC, the Charles Darwin Foundation, the Galapagos National Park Directorate and a generous donation from the Galapagos Conservancy, “BirdsEye Galápagos” is officially launched this week. This is a new application that will support the identification of birds in the archipelago. The application is free and is available in Apple and Android versions in English, a Spanish version will soon be accessible. 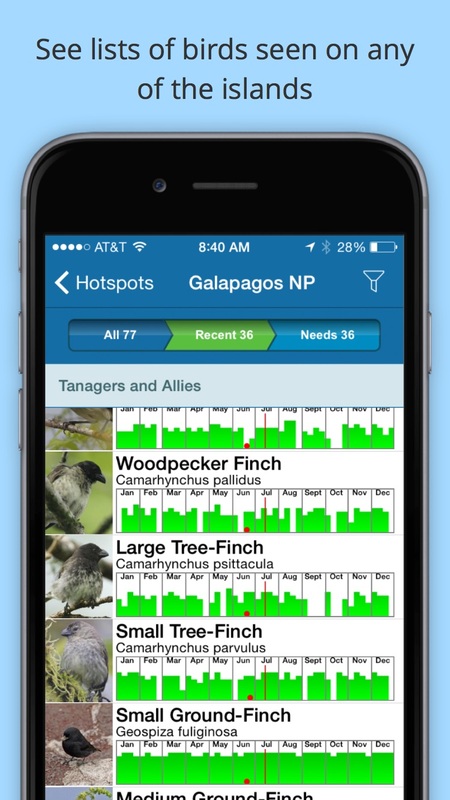 CDF and GNPD have worked together with Birds In The Hand, LLC not only to make this application user friendly and to assist in the identification of bird species in Galapagos, but also the application provides the user with interesting facts about the unique birdlife in the islands and the conservation efforts being carried out in this amazing World Heritage Site. Additionally, using GPS technology, the app tells you where you can find a species or when the last sighting occurred. 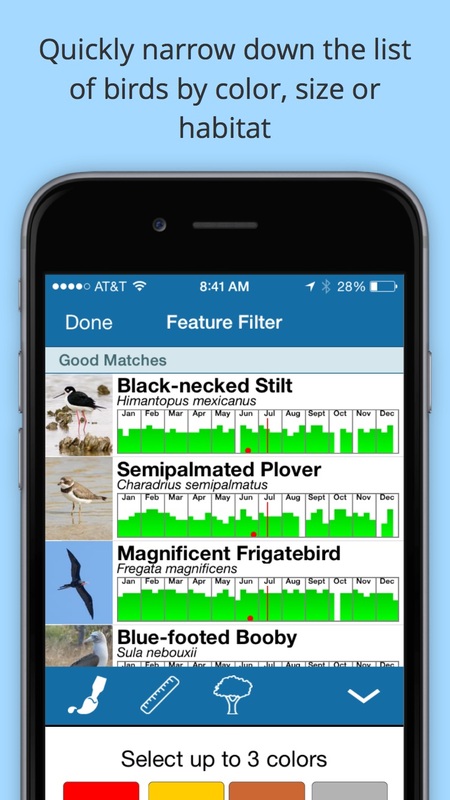 The app also has a bar graph showing the seasonal abundance of all birds that comes directly from the observations database eBird which is part of the “Citizen Science” platform of the Laboratory of Ornithology at Cornell University in the United States. This laboratory has revolutionized the way in which the community of bird watchers reports sightings and accesses information about birds in the world. The results achieved in the monitoring of Galapagos birds will depend on the participation of naturalist guides, tourists and the entire community, through the use of “BirdsEye Galápagos” and the reports sent to eBird. The mission of Birds In The Hand, LLC is that the information collected is used practically and that it helps efforts towards the conservation of bird species worldwide. 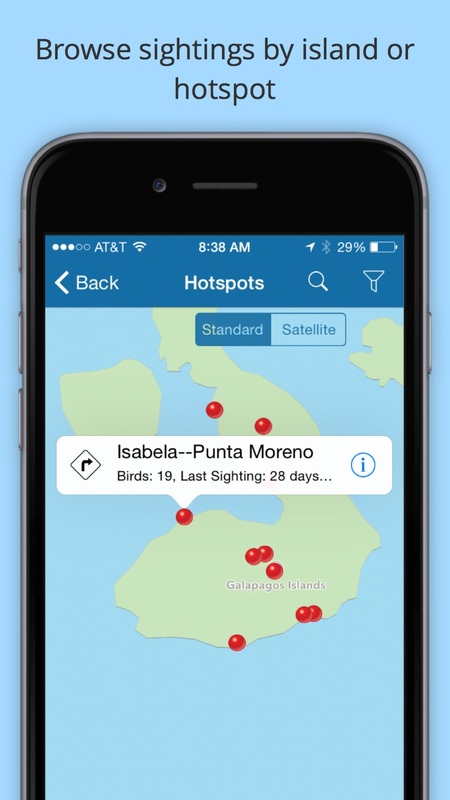 We hope that many “BirdsEye Galápagos” users will record their observations in eBird to increase the reports available for each bird species and help protect the birds of the Galapagos Archipelago. 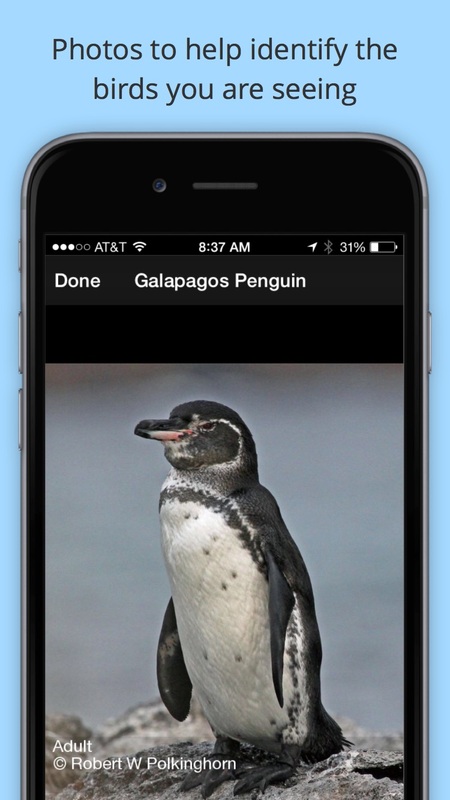 The “BirdsEye Galápagos” application can be downloaded for free on iPhone and Android and can be used without internet connection, which is key outside the populated areas of Galapagos. At the moment only the English version is available. The Spanish version will be available in the next few months. 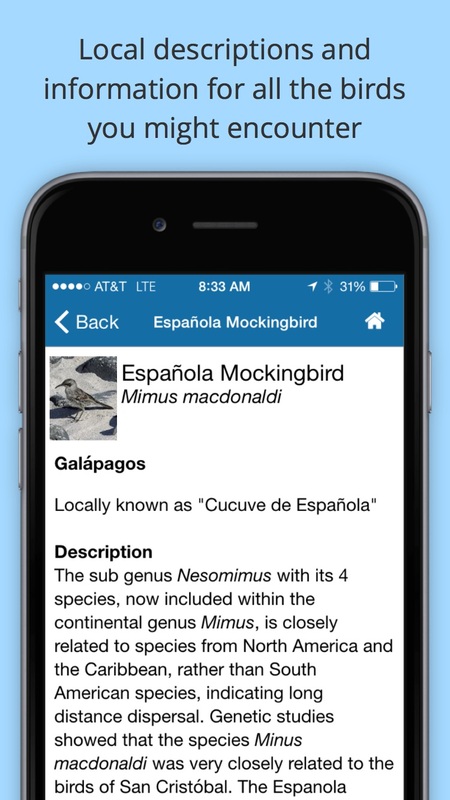 Common names are now available in English and Spanish (for Ecuador). Contributors: Birds In The Hand, Galapagos National Park Directorate, Charles Darwin Foundation.